• The stainless steel blade on this pill splitter accurately splits most uncoated tablets for lower dosages and easier swallowing. • Sure-Grip is a Classic M.D.M. original product design (1996) developed to hold a variety of tablet shapes and sizes firmly within the “V” shape grip-area. This prevents tablets from being ejected during the cutting cycle. 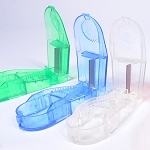 • This pill splitter contains a child deterrent locking device (to open: press locking bar and pull up on cover). 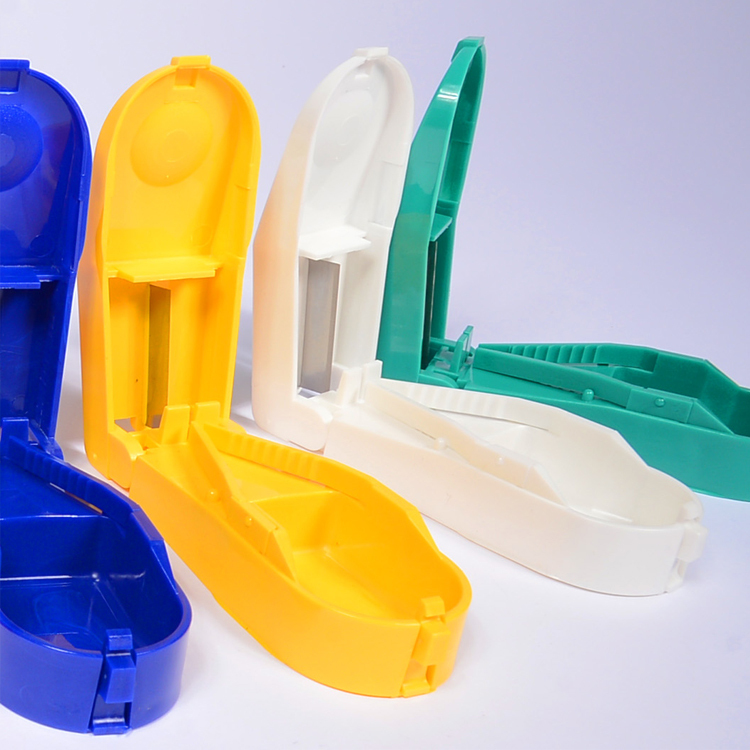 • A built-in storage compartment keeps tablets with the cutter for quick access. • Additional colors are available upon request; please contact us with your request. • Has ability for custom printing upon request; please contact us with your request.